When a plane crashes in the Amazonian swamp where Conrad Greene is attempting to live out the rest of eternity, the jaded immortal who was once one of the Bastian First Councilís greatest assets stumbles across a conspiracy involving the recently elected president of the United States. Caught in the middle of the intrigue is US Secret Service agent Laura Hartwell, the one immortal on Earth most likely to put a bullet through Greeneís skull. Anyone interested is welcome to join the blast, just copy this and make sure you put your link in the Rafflecopter when you post! Not only will you get to share this great book and series but also will get 5 additional entries in Lady Reader’s Book Tours Blast participation Rafflecopter! There is a participating Giveaway Rafflecopter for this & the Tour! A grunt sounded above him as the burly swordsman brought his weapon down once more. The edge of the blade struck the staff hard, raising sparks in the gloom. The manís lips pulled back in a vicious grin, exposing two uneven rows of stained teeth. The muscles and veins in his neck and arms bulged with superhuman strength as he drove the sword into the staff. Conradís elbows slowly folded toward his chest. Air left his lips in a low hiss as the tip of the manís blade inched closer to his left eye. He pushed back with the staff with all his might, dark spots dancing across his vision. ëWilliam!í the woman yelled, her voice edged with fear and desperation. She passed the weather vane on the sloping roof and unsheathed the rapier at her waist. Relief darted across the younger manís face at the sound of his name. He glanced at the woman over his attackersí shoulders and raised his own blade to block another strike. Conrad blocked his blade, kicked him in the groin, and hooked the staff behind his neck. He yanked the manís head down at the same time that he drove his knee up into his face. A guttural groan left his adversaryís lips, and he slid to the ground, unconscious. A flurry of activity to the right captured Conradís attention. Another group of men had rushed onto the rooftop terrace of the Banqueting House. He scanned the other fighters around him, anxiety twisting his stomach; he and his companions were now heavily outnumbered. The wounded man sagged behind her and gripped his bleeding limb. Even from a distance, Conrad read the fear and confusion on his features. The man turned and flinched when he met Conradís eyes. The expression on his face left no doubt in his mind. William Hartwell was the one who had betrayed them. Bile flooded the back of Conradís throat. Hartwell looked away. His lips moved, forming words that were lost in the stormy night as he shouted something at the men trying to kill him. The sound was a knife that cut straight through Conradís soul. He blocked a blow to his head and looked to his left. Conrad bobbed his head jerkily and twisted the ring that retracted the staffís spear blades. He raced for the door that led inside the building. He found the woman on her knees by the pile of bodies that lay in an awkward tangle of broken limbs at the north base of the Banqueting House. She was leaning over William Hartwell, sobs shuddering through her as she stroked his pale face with shaking fingers; blood from the wound in her arm mingled with his where it seeped from the irregular depression on his temple. Hartwellís chest rose and fell shallowly with his breaths. He was unconscious. The woman looked around at Conradís footsteps, her hazel eyes wild with anguish. ëDo something, please!í she begged. Conrad sank to the ground next to her, his voice frozen in his throat. He placed his left hand on the young manís head and closed his eyes. Bone popped beneath his hand. The young manís flesh slowly began to knit together. Sweat broke across Conradís brow. The battle had drained him of much of his strength; he could feel Hartwellís torn tissues resisting his ability to heal them. He ground his teeth together and willed his exhausted body to cooperate. Conrad sagged as he felt his own life force start to ebb; he was nearing the limits of his ability. He blinked and swayed. Dark blotches clouded his vision. The womanís frantic words became a roar in his ears. A moan suddenly broke through the rush of blood inside his head. He looked down and saw Hartwellís eyes open. Within the dark pupils of the man he had come to know and love as a brother, Conrad Greene read the words he could no longer utter. Conrad knew there were only seconds left; he could feel Deathís shadow approaching through the thunderstorm raging across the city. He leaned down and brought his lips to Hartwellís ear. ëI forgive you,í he whispered, his vision blurring with tears. He pulled back slightly and saw Hartwell blink once. The young manís last breath left his mouth and caressed Conradís cheek. ëNo,í mumbled the woman. ëNo, this isnít happening!í Her voice rose to a scream. ëWhy did you let him die? Why? Goddamn youó!í Grief overwhelmed her and she wept brokenly. Conradís heart shattered inside his chest as he looked at the woman he loved and saw hate dawn in the depths of her hazel eyes. AD Starrling was born on the small island nation of Mauritius in the Indian Ocean and came to the UK at the age of twenty to study medicine. 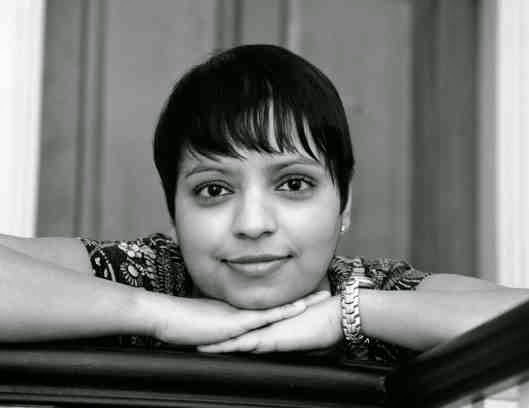 After five years of hard graft earning her MD and another five years working all of God’s hours as a Pediatrician, she decided it was time for a change and returned to her first love, writing. Her debut novel Soul Meaning (Seventeen Book #1) has won and been nominated for several awards, as has her second novel Kingís Crusade. She currently lives in Warwickshire in the West Midlands, where she is busy writing the next installment in the series. She still practices medicine. 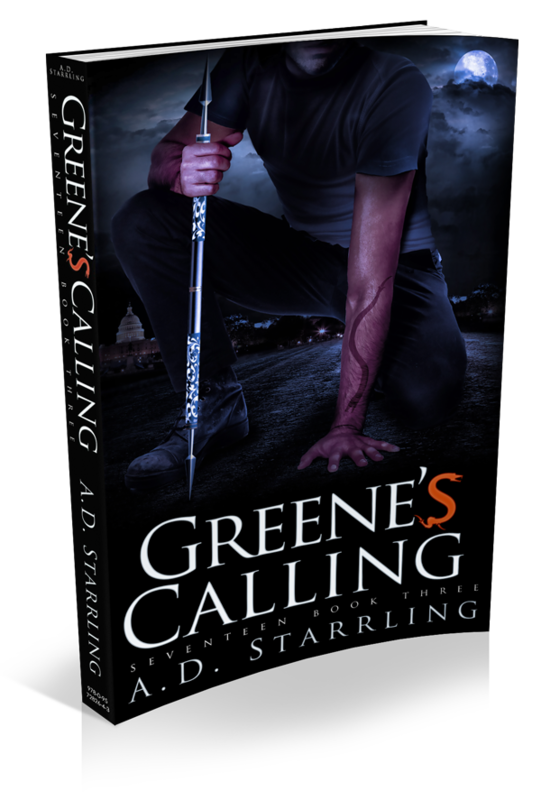 AD Starrling is her pen name. Some mystery, Amazon swamp, conspiracy, immortals an dlegacies? What’s not to love?